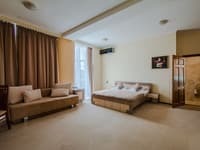 One-room apartments are located in the center of Kiev on the 3 Lysenko street. 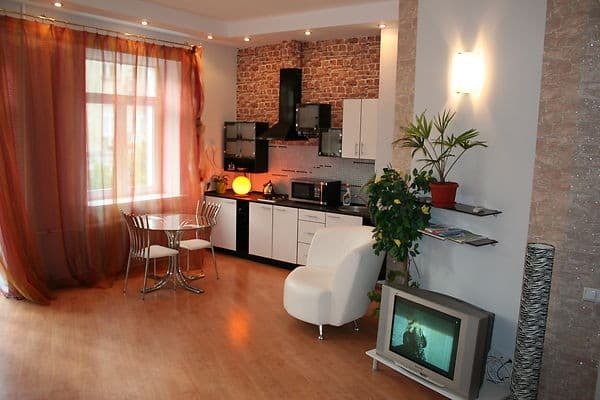 Apartments are individually decorated and equipped with a flat-screen TV. 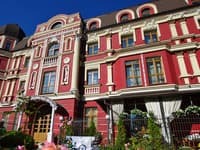 The apartments are located close to the main attractions of Kiev. The main street Khreshchatyk can be reached in 15 minutes. The apartment is located on the 4th floor of the house. A balcony offers wonderful views of the city. Apartment symbolizes "the highest standard of living". A luxury white leather furniture and clear glass is something unique and unrepeatable. 16 sq.m. bathroom has a huge corner jacuzzi. Apartment`s Philosophy is an absolute exclusivity. Free Wi-Fi is available. The fully equipped kitchen has a dining area and oven, so you can prepare a meal to your own taste. Also, guests can enjoy a variety of cafes and restaurants located within 5-minute walk away. Distance to train station is 3 km, to the airport - 39 km. 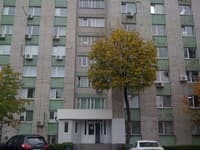 You can get keys to the apartment at Lesya Ukrainka Boulevard (21st office). Description of the room: Cozy one-bedroom apartment with an area of ​​42 sq. 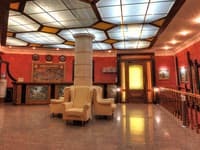 M.
Apartments are located in the city center, close to the main attractions of Kiev. The main street Khreshchatyk can be reached in 15 minutes. Distance to train station is 3 km, to the airport - 39 km.